After the outings to Bexley and West London, we were hooked on the idea of setting up our own micropub. Inexperience didn't appear to be a barrier and with setup costs expected to be around £40,000 from chatting to other micropubs, it didn't seem completely out of the question between us financially. We haven't managed to fit in group trips to further micropubs yet but we have sought them out individually whenever we have been on our travels. From the Samuel Oldknow in Stockport to the Watchmakers Arms in Hove, the Bay Hop in Colwyn Bay to the Handsome Sam in Whitstable, I've been struck by the welcoming atmosphere, rejuvenated high streets and most importantly, well-kept delicious beer. It's probably time to explain the name. Deep breath. We all play football for the South London Sharks, a Sunday league football team that we established in 2014. 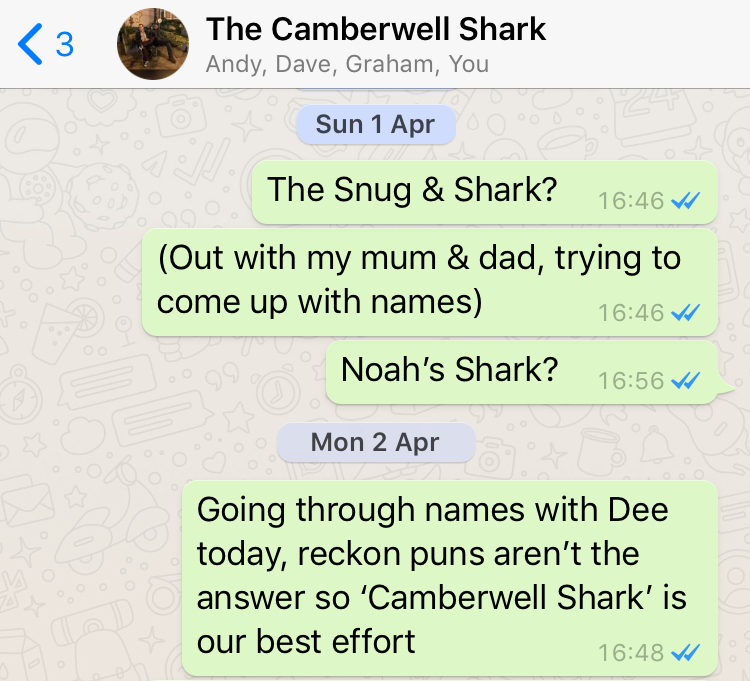 The shark name derived from the nickname for the infamous FC Dad, our 5-aside team that has been terrifying Europe since 2010. 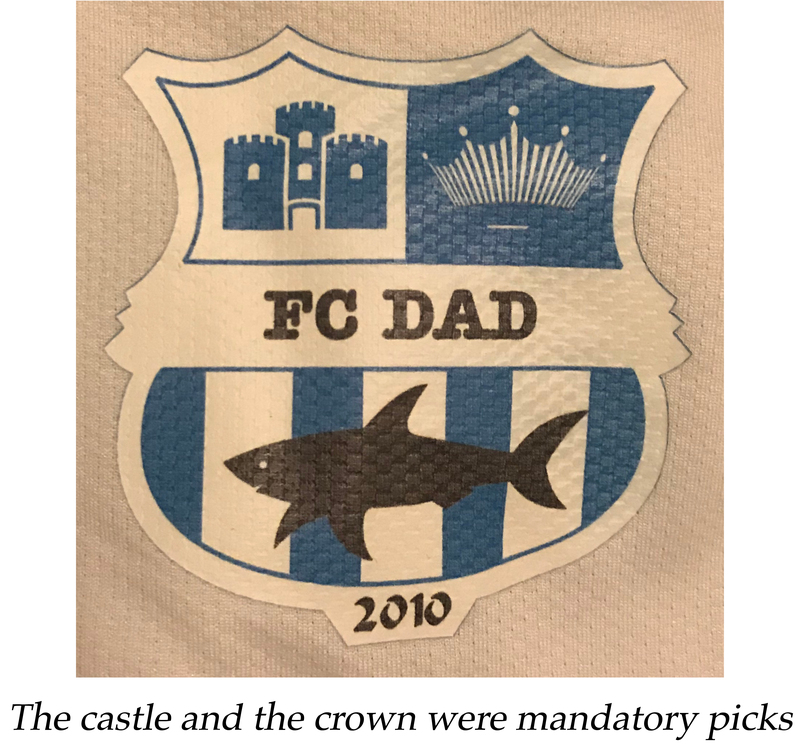 * Too incompetent to design our own team badge, we had opted for a stock one from the budget online kit supplier that came with the choice of a shark or a football. Sharks are scarier than footballs so it was a no-brainer. You can see why we hope that question doesn't come up too often. A shark-related name for the pub was therefore a given. After numerous false starts ('Hair of the Shark', 'The Camberwell Snug', 'The Shark & Scarf'), we settled on the obvious choice of 'The Camberwell Shark', which Dee and I had proposed to muted acclaim two months earlier, after a brainstorming session over pints of Harvey's Sussex Best during a day out in Lewes. * By terrifying Europe we mean played 47, won 13, drawn 5 and lost 29. We rewind to September when we had our first 'official' meeting (in a pub of course) where we talk money, time commitment and begin to think about possible locations.